Lecture by Prof. Michael Bielicky from 16:30 with Japanese translation by Mrs. Kayoko Yokota. Musashino Art University, bldg #12, 1st Floor = Video Atelier. 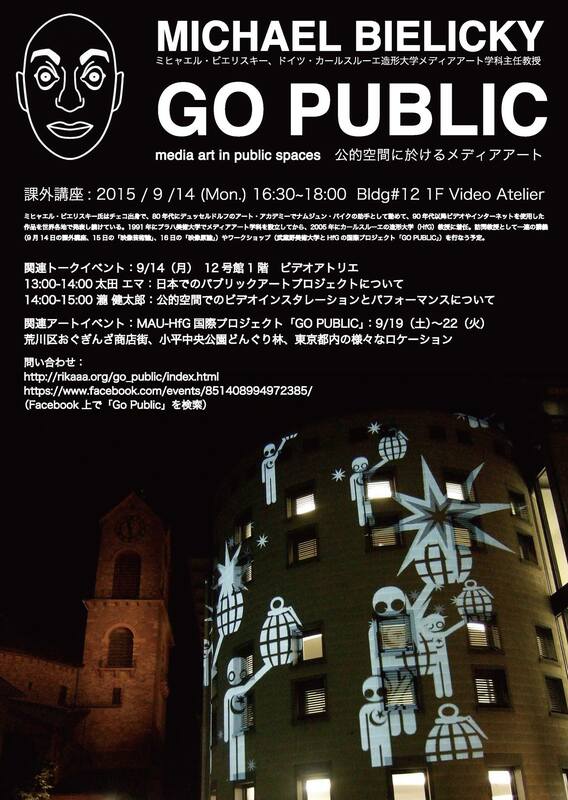 Same place same day from 13:00: Talk by Emma OTA Dis Locate, and from 14:00 by Kentaro Taki about public art events in Japan.